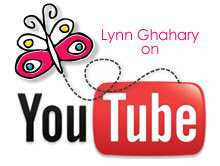 Lynn Ghahary :: Pieces of Me ...: Zva Creative Blog Hop! 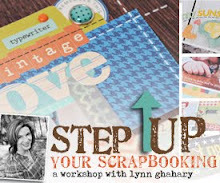 Hey everyone, I'm so excited today for another Zva Creative DT Blog Hop! We are joining together today to share a project that we have created using the latest Zva Creative products that are releasing at the winter CHA craft show. I am hoping that you will take some time to join us for a little bit of fun! Zva is introducing 100+ brand new crystal and pearl embellishment designs at the show. All designs have a fresh new look and are available in various popular color choices. If you are attending, please stop by the Zva at Booth # 2991. The Blog Hop begins at Kim Hughes' blog. She is linking to one of the Zva designers and that designer is linking to the next and so on. 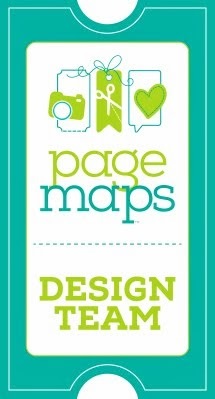 There are 12 design team members, so be prepared to be inspired along the way. Hidden on 5 of the blogs is a Zva Creative prize package! Those blogs will be randomly chosen after the hop is over, so it's important to leave a comment on as many blogs as you can along the way. Our team is so wonderfully diverse, so we are hoping that you will be inspired when you reach the end. This Blog Hop runs through midnight on Tuesday, January 19th and the 5 winners will be announced on Wednesday, January 20th. We will do our best to notify each winner, but it's best if you can pop in to all of the blogs once again on Wednesday...plus, you never know what kind of inspirational creation that you may find there. All you need to do is leave a comment on this Zva Blog Hop post...you do not need to leave a comment on each and every designer's blog post to qualify. The more times you leave a comment along the blog hop path though, the more chances you will have to be one of the lucky winners. My first project is a sweet little card that I created using some new blue crystal swirls and this adorable fabric butterfly. My next project is a layout that used a few different new release crystal swirls as well as some felt flowers and crystal and fabric brads. Now please hop on over to see what the wonderfully talented Lori Roop has in store for you! What a great card! I love what you've done with the butterfly. oh wow.... what a bunch of gorgeous projects!!! I love those flowers and all the crystals and pearl flourishes. That looks great, love the felt flowers and colors of the crystals you've used. TFS, hugs, Wendy. Wonderful projects. Those fabric butterflies are gorgeous! oh wow, love the butterfly and its "trail" gorgeous page design too! I love the card and the crystal swirls on the layout. Your work is always inspiring! The fabric brads look to be a welcome addition to the Zva line! Wonderful card and layout. Love the butterfly with the tail. Thanks for the inspiration. Love the butterfly and the crystals. Thanks for sharing. So pretty!! Love to see al the wonderfull projects with ZVA! Live the swirls with the butterfly so sweet..
A great job you did. Love the colors you used on your layout. Warm!! I really like how you used the flowers and the flourishes together on your layout. A really complete look. your cards are so romantic!!! your card is lovely with the flourishes and the butterfly! It's so delicate looking! Fabulous projects! I love those butterflies with the swirls! Great color combos. TFS! The crystals look fab with your paper on the page! I love the fabric brad! What a nice card you make. Your lay-out is very pretty whit beautiful colours. I love the card! The colors and the scallop and of course the bling! You're work is so fab! Those flourishes are stunning with your butterfly and the flowers! Gorgeous! OK.... this is the third time I've seen that butterfly. Is this a Zva embellishment? I wantin' the butterfly. By the way, great stuff!!!! Such gorgeous projects! The flowers, crystals and pearl and butterflies are so gorgeous. I never tire of seeing these flourishy crystals on butterflies and flowers! I love your card and I adore that beautiful page! The crystals are so beautiful! lovely work. i am so wanting all of the zva that i can get my fingers on. how sweet are they? your "Be Mine" card is just so cute! Love the butterfly. Great projects. I love the butterfly. what a pretty card - i love the butterfly! Such beautiful work! I love how you used the new bling! Oh, these butterflies are just sooo lovely!!! What a beautiful card and layout! I just love those jeweled flourishes! Gorgeous!! I love the blue! Great layout and card! Love your work!! These are both beautiful! 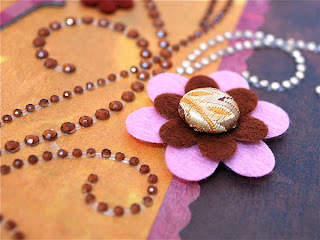 I am really loving those beautiful butterflies...they are fabulous on projects! Great job!! I LOVE the JOY page! It's so warm and cozy, so huggable!!! I love the colors in your Joy layout. Simply perfect! love the card and the blue butterfly ! the lay-out is pretty too ! Beautiful page and love the card! The colors of your layout and the pearl: just a perfect match! And your card, so lovely! Fantastic page with gorgeous colors !!!! Love those flourishes! Great card. Absolutely beautiful! I love those Zva embellishments! Both your creations are beatiful. The ZVA bling bling is so lovely. I love to see examles of a card and layout and I loved the butterfly on the card! Beautiful! Would LOVE to win ZVA products. Thanks! I love those crystal flourishes. They are just beautiful. Nice to not have to try to do them myself, that they just come that way already. Love it. Beautiful dimension and I love that page layout! lovely work. I just lover the crystals en pearls swirls. ohh..your color choices are amazing! beautiful layouts! loving that butterfly! great card and layout! Fabulous lo, love all the bling (of course)!!! fabulous card and layout! Thanks for the inspiration! so elegant. I love what you did with the product. Awesome layout & card...love the bling!! Love the blinged up butterfly - loveley card! Nice use of color. The crystals are great. Your projects are just LOVELY!! Lovely stuff...the new zva bling looks fab! that card and the LO are both just wonderful creations! I just love how the flourishes compliment the colors in your LO and card! Beautiful! The crystal swirls are so pretty, thanks for sharing! Lynn, you totally rock!!! Both of your submittals are fabulous but I really love the Joy layout. The colors are rich and elegant. And the Zva bling makes them pop! Thanks for the inspiration! i love the combination of the felt flowers and the crystals. beautiful layouts. Beautiful projects. Loved the butterfly one especially....lovely turquoise jeweled swirls. Beautiful card and layout. I love the pearls matched with the satin butterflies. Those are beautiful blue crystal swirls that you used on your card. There's that butterfly again.... love it! love the blue crystal swirls and fabric blue butterfly..so elegantly cool and stunning! Great card & page! Love those flourishes!!!!! 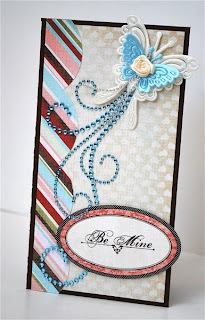 OMG---what an amazing card and LO--I am so in love with the colors you have paired together. Love how you did the butterfly with the flourish tail and the flowers on your page--AMAZING and BEAUTIFUL!! Both your layout and card are fabulous! Love your creations! The colors of your layout are great! Really lovely! Love the new zva! These little beauties are quickly becoming must haves! Very beautiful, Lynn. Love the trail behind the butterfly and I also really love the colors on the second layout. zva crystals put stickles to shame! lovely layout. all beautiful! and i love your blog too! Oh my gosh I am luvin all the colors with the new ZVA blings. YUM! Wow. The card is exquisite and the LO is absolutely stunning! You are suuuuuch an amazing artist! the color choices and beautiful crystal and pearl flourishes are great. OOOOOH I love the blue!! there hasn't been enough blue bling I'm so glad to see its part of the new line.. what beautiful layouts. Great card and lovely scrap page! I love that butterfly! Beautiful work! I love the projects you made, they are all beautiful! I love the scrapbook page with the florishes. 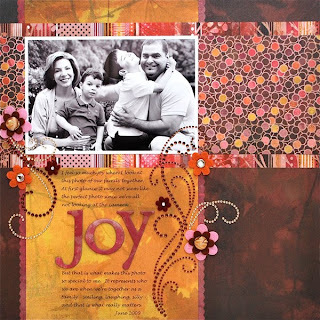 Loved the color combo on your scrap page, beautiful job. I love the crystal used on your card and layout. Thanks fro sharing. The flourishes make layouts so dynamic. Beautiful card and fantastic LO!!! Love your use of the bling. Perfect! Love the card to pieces! Such a great design. Beautiful page, too. Absolutely gorgeous-the pearls and the butterflies were love at first sight. Beautiful projects. I don't know what I like best -- the fourishes, flowers or brads! I love both color combination's but the Orange and Brown one was gorgeous! I love the subtle pink in there, great job with finding balance with such wonderful rich patterns. oh what a magnificent swirl! Lovely projects!! Love the flourishes! Wonderful deep colors! Love the look for Valentines! great card and LO - love them! wow...perfect color choices...I love those combos! Your projects are simply WONDERFUL! !